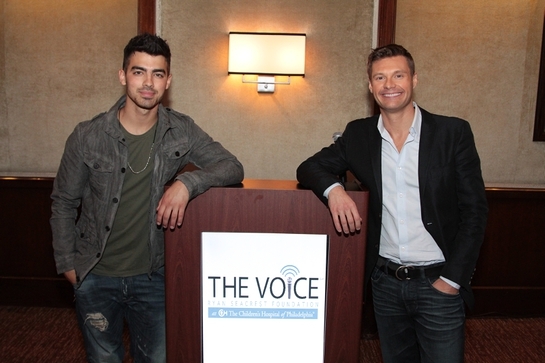 Selena Gomez and Joe Jonas joined Ryan Seacrest in launching the second closed-circuit media center called “The Voice” in the Children’s Hospital of Philadelphia (CHOP) last week. ‘The Voice’ studios serve as creative outlets for sick and injured children who have spent the majority of their lives in a hospital bed. The Ryan Seacrest Foundation, as well as partners Coca-Cola and E! News, assist in funding the construction of the studios, including the original ‘The Voice’ media center in the Children’s Healthcare of Atlanta. 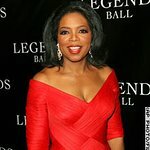 The Ryan Seacrest Foundation is a non-profit 501©(3) organization dedicated to enhancing the quality of life for seriously ill and injured children through unique programs that utilize multimedia and interactive platforms to enlighten, entertain and educate. RSF’s first initiative is to build broadcast media centers, named THE VOICE, within pediatric hospitals for patients to explore the creative realms of radio, television and new media. RSF’s aim is to contribute positively to the healing process for children and their families during their stay by developing these centers to bring an uplifting spirit to the hospital community. The RSF believe access to multimedia experiences will bring patients exciting and stimulating adventures to encourage optimistic thoughts during treatment and for the future. It is also their intent to reach out to the community and involve students from local journalism schools, colleges and universities to provide them with the opportunity to gain first hand experience in broadcasting, programming and operating a multimedia center.